"I was afraid," says Sarah Lutz-Simon, head of the Médecins Sans Frontières emergency team in South Kivu, Democratic Republic of Congo (DRC). 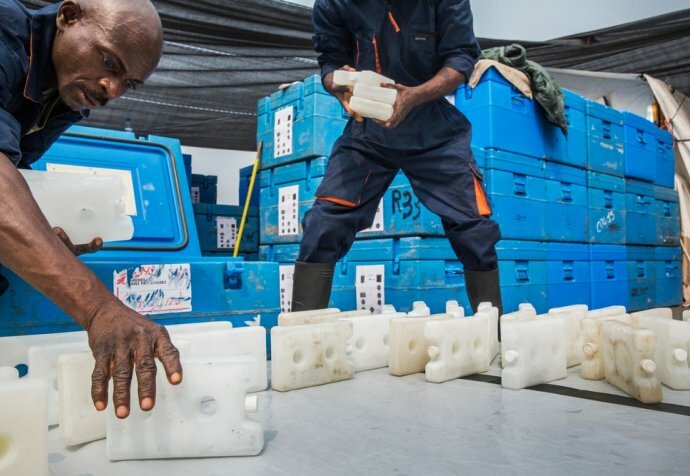 They have recently faced an outbreak of measles in Mulungu, a remote area in the turbulent eastern province of DRC, and have vaccinated 4,165 children. Measles has reappeared once again at an alarming rate, with alerts of outbreaks in different parts of the country. “When we arrived at the health centre, they had put all the sick children together in the only room, in the dark. There must have been around 40 of them in there and the image was hard to take in: they were weak, with red eyes, runny noses and rashes on their skin...I was afraid. I was part of the first team to arrive in the area and we didn’t really know how many cases we were dealing with. We had been alerted about 10 sick people in the middle of December, and what we were seeing indicated a very rapid increase,” explains Sarah. There is no antiviral treatment for measles, so the medical staff try to prevent dehydration, monitor fever and manage any complications that may arise, including eye and ear infections among others. For the emergency team, one of the toughest challenges in dealing with these alerts is the area’s terrain: “From Bukavu, the capital of South Kivu, it took us two days to drive to Bisisi, and from there we needed to walk along trails for at least five hours to get to Idunga. And that was the easy part. Some of the teams had to walk from Idunga for three days to reach the most remote areas.” A helicopter offered the best guarantee for maintaining the vaccines’ cold chain. Médecins Sans Frontières enrolled several hundred residents of the area to work as porters and, in conjunction with the Ministry of Health, they also helped with vaccinations — securing 94% coverage — while informing the population and treating the cases presenting the most complications. Another challenge of working in South Kivu is the number of armed groups in the area. Médecins Sans Frontières spoke with every one of the small groups based in each particular area, so that they could gain access to vaccinate and treat the people who were ill. “It’s not only the geographical distance and obstacles — hills, mountains, swollen rivers, lack of roads, mud, jungle — but also the presence of armed men, making access to health even more complicated in this area,” says Sarah. This intervention has been one of enormous importance to Sarah: “The impact is immediate. We’ve saved many lives. People were very happy because they were also really worried about the outbreak and they had only received aid sporadically. Seeing the number of affected people decrease in such a short time following vaccination is the best thing”. In total, 352 children were treated and two deaths were recorded: one on the day that Médecins Sans Frontières arrived in Itanga, and another in the case of a child whose family had resorted to local healers. 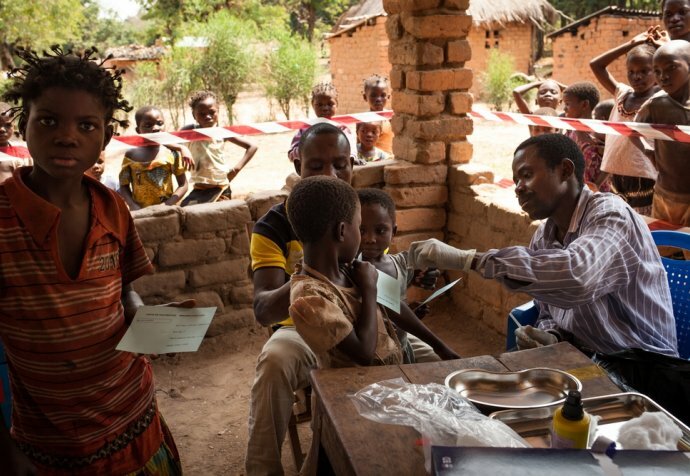 Besides measles, children in the Mulungu area were also vaccinated against pneumococcus, hepatitis, haemophilus bacteria, diphtheria, tetanus and whooping cough, in a new combination of antigens used for the first time in the province.